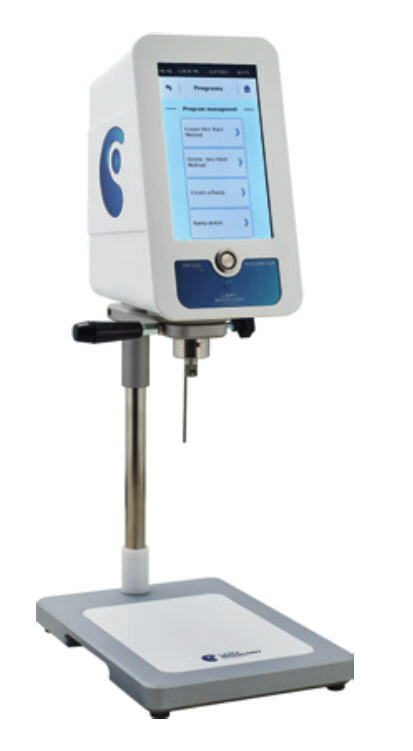 Thanks to its large storage capacity and its easy programming, the rheometer RM200 PLUS allows you to realize all your measurements of flow curves, yield point, thixotropic, curve fitting without software. Direct control of temperature unit. Direct measure with time to stop. Data recording and USB transfer. An «operator» function allows you to enter a username for your instrument. This user must then be identified using a 4-digit code. Regression model according to Newton, Bingham, Casson and Ostwald) . Choose your attachment system tailored to your product constraints. ** With MS HT. Not included. *** With MS CP. Not included. The motorized lift of the RM200 CP4000 PLUS allows a fast and repeatable installation of cone and plate measuring systems guaranteeing reliable rheological measurements whatever your application. 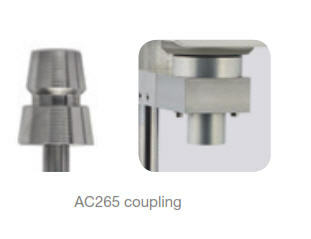 Quick attachment with AC265 coupling. ASTM : D4287 ; BS 3900 ; DIN 3219 ; 52007-1 ; 53019-1 ; 54453 ; ISO 2884; 3219 ; 10364-12. 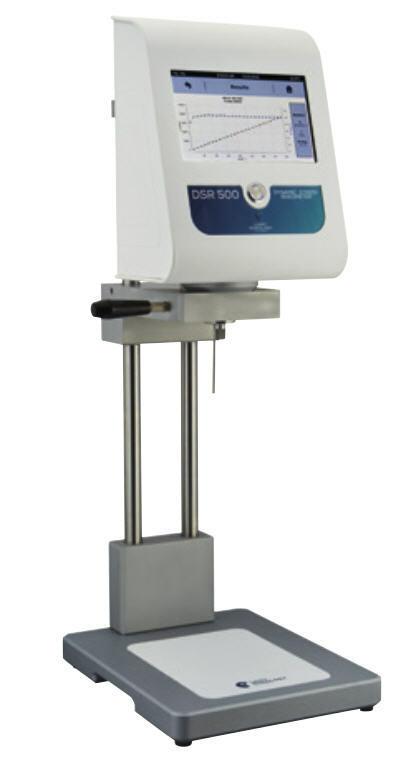 The new DSR 500 rheometer is the latest instrument developed by LAMY RHEOLOGY. Incorporating all the existing features of the PLUS range, it offers programming flexibility and ability to directly display diagrams on its 7’’ touch screen. Compatible with all temperature controls and measuring system of the PLUS range, it allows control in shear rate/speed but also in shear stress/torque. This will allow you to easily view the flow and viscosity curves on the screen as well as a direct measurement of flow point values of your products. Simply connected to a printer, it is easy to print a measurement report containing the information, curve, measured values and results of the rheological analysis. Driven or not by the RheoTex software, it will be the ideal tool for your measurements in control or development. 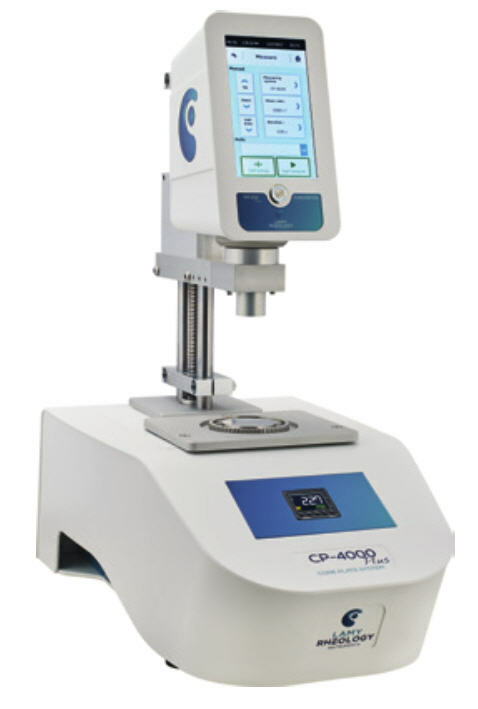 The rheometer with imposed shear rate or shear stress, equipped with a 7 ‘’ touch screen to display the curves directly. And with direct report editing on a desktop printer, measuring viscosity or yield point has never been so easy! DSR 500. This device is able to set shear rate and shear stress ramp (yield stress measure). It’s able to show curve directly on display and can be very helpful if you doesn’t want to have computer to print report or curve. Shear rate and shear stress control. 15425 ; 15564 ; IOCCC 2000 ; ISO 1652 ; 2555 ; 2884-2 ; 3219; 10364-12. 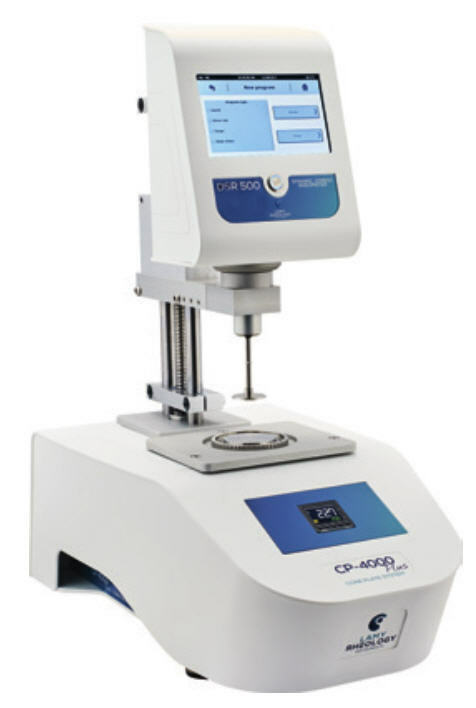 With its motorized lift, built-in temperature control unit and all the features of the DSR500, this new cone-plate rheometer optimizes your measurements and guarantees high performance even without a computer! DSR 500 CP4000. This device is able to set shear rate and shear stress ramp (yield stress measure).